When you and your child’s other parent decide to get a divorce, you will have to work together to create a custody and visitation schedule that works for your family. 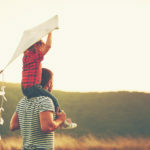 When it comes to these parenting plans, California judges put the best interests of the children ahead of everything else, and they will work to maintain parenting arrangements similar to what the children were used to during the marriage. At The Montes Law Firm, our legal team takes a holistic approach to divorce and other family law matters. We are mindful of the need to aggressively protect our clients’ rights while pursuing balanced resolutions. Child custody attorney Amy M. Montes understands that the best arrangements come from parents who can work together to create their own parenting arrangements, but she also recognizes that certain situations and family dynamics require court intervention. As a dedicated divorce lawyer, Attorney Montes leverages her understanding of complicated courtroom procedures and her dispute resolution experience when handling clients’ cases. She will evaluate every detail to design a course of action that fits you, your family, and your unique needs. Every custody or visitation order is dealt with on a case-by-case basis, taking into account the age of the children, the children’s health, the parents’ situation, the children’s relationship with both parents, the ability of both parents to care for the child, any history of family violence or substance abuse, the children’s ties to the community (i.e. school, home, and extra-curricular activities), and other factors. As such, visitation orders vary widely from family to family. Visitation according to a schedule:Detailed visitation plans help prevent confusion and conflict, so parents and/or the court may come up with a visitation schedule that details what dates and times the children will spend with each parent. These schedules may include provisions holidays, birthdays, vacations, and other special occasions. Reasonable visitation: This type of visitation order does not necessarily contain details about when the child will be with each parent; rather, they are more open-ended and give parents the chance to work it out amongst themselves. Reasonable visitation orders are ideal if parents can communicate, be flexible, and get along very well with one another. However, if disagreements or misunderstandings come up, a reasonable visitation order may present problems for the parents, and it may have a negative effect on the children. Supervised visitation: This type of order is issued when the children’s safety and well-being depends on supervision by the other parent, another adult, or a professional. Supervised visitation can also be helpful for reunification, when the child and parent have not seen each other in a long time and need to slowly get to know one another. No visitation: This order is issued when visiting the other parent, even with supervision, would cause physical or emotional harm to the children. In these cases, the court recognizes that it is not in the best interest of the children to have a relationship with the parent. California courts do not automatically give visitation rights to the mother or father, and the courts cannot deny your right to visitation just because you were never married to the other parent, because of a physical disability or different lifestyle, religious beliefs, or sexual orientation. When it comes to creating the actual visitation schedule, you have a number of different options that depend on your relationship with the other party. If both parents can agree on a parenting plan (i.e. an arrangement for custody and visitation), then they can draft it with the help of a family law attorney and present it to a judge. Once signed, the custody and visitation order will become legally binding. This is often the best way to obtain a parenting plan because it allows both parents to work through complex issues and come up with a plan they are satisfied with, rather than leaving the final decision up to a judge. In some cases, parents may not be able to agree on certain key issues. If this is true, but the parents are still able to cooperate and come up with a solution together, mediation may be the best option. Mediation offers a less formal, less expensive, and less confrontational alternative to courtroom divorce proceedings. 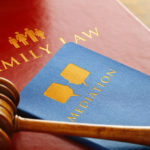 Mediation also allows parents to have more control over the process, as they can work out complex emotional issues with someone skilled in dispute resolution; court, on the other hand, often leaves difficult, nuanced decisions up to a judge who is not intimately familiar with your case. If parents still cannot agree or do not want to pursue mediation, they can bring their case to family court for a judge to decide. With the help of a family law attorney, parents will present the relevant information to the judge (including living arrangements during the marriage, disputed issues, and any other pertinent information about the children), who will make a final ruling on the visitation schedule. It is important to note that, while you may be able to come up with an agreeable visitation schedule on your own, it is in your best interest to take it to court and make it official. When two parents get along well and agree on key issues, it is tempting to just jot down an informal agreement. However, if one parent refuses to honor this agreement down the road, you are out of luck unless it is a formal court order; no court will be able to enforce the “unofficial” order. Therefore, even if you draw up the agreement yourselves, it is preferable to have it signed by a judge so it becomes legally binding. The Montes Law Firm are committed to helping you through all family law matters. We provide compassionate, experienced representation for parents looking to create a visitation order, modify an existing visitation order, or have questions answered about visitation in California. Attorney Montes is committed to understanding your unique family situation and coming up with the best course of action for your case. She is prepared to pursue every legal avenue to give you the best chance of success. Whether you’re ready to pursue mediation, litigation, or just want some answers, we are here to help. You can count on The Montes Law Firm to find a personalized solution for you and your family’s legal needs, no matter the situation. Call The Montes Law Firm at 714-731-8600 or contact us online to schedule a consultation with our Orange County child custody attorney today.